The Flight Deal | Practical Travel Tips: Auckland, New Zealand. 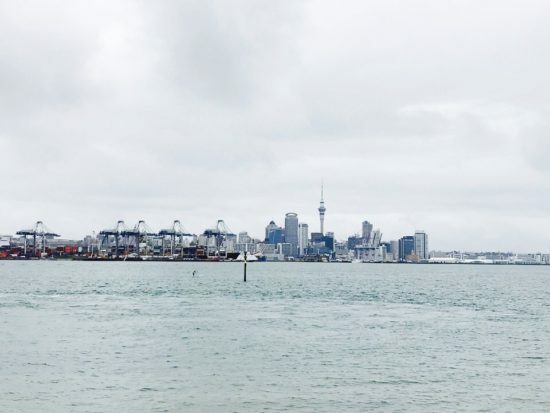 Practical Travel Tips: Auckland, New Zealand. A few of us have spent a bit of time in New Zealand. Go for the amazing landscape. Kia Ora! This means ‘hello’ or ‘thank you’ in the Maori language and is the formal greeting for New Zealand. New Zealand, what comes to my mind are the islands, dramatic landscapes, beaches, the Maori culture, and cities such as Queenstown, Wellington and Auckland. It was tough for me to choose which city to visit. New Zealand is a small country that can be explored in 2 weeks or even a month depending on time, what you aim to experience, and your budget. And if you have time, take advantage and explore the whole country. In my case, with only one week, I decided to visit Auckland and explore what the city had to offer and the surrounding areas – Waiheke Island, Devonport (home to Mount Victoria), Tiritiri Matangi and Rangitoto Island, Viaduct Harbour and Ponsonby. When I visited Auckland in November, it was really pleasant. It is almost the end of their spring, right before you start the hot summer months, and therefore the perfect time before the holiday season starts. The daily temperatures were between 56°F to 63°F. You will still need to carry a jacket, especially in the evening when the temperature drops. It is known that November is an ideal time to be active in Auckland – hiking, running, and exploration. Landing in Auckland on an early morning flight 2 days later (somehow) from San Francisco, I decided to use the day to learn more about the little town I was staying in – Devonport. You can access this small town by taking a taxi or car ride shares from Auckland Airport. When I was researching where to stay in Auckland, I went to my favorite booking sites for all my hotel travels – Booking.com and TripAdvisor. At this time, the prices for the hotels ranged between $150-$250 per night, especially for a 4-5 star hotel in the city. I always use TripAdvisor to check for hotel reviews and Booking.com to make all my reservations because I can make a hotel reservation and not pay for it on the spot; instead, I pay when I stay. I do have to mention that I was a little disappointed with hotel choices in Auckland as they did not have a lot of choices for places to stay. If you need more choices, also check Airbnb. Devonport was my choice due to its history and proximity to Auckland, only a 12-minute scenic ferry ride from Quay Street. The cost is about $12 (NZD) for a return trip. I also loved the fact that it had beautiful beaches, cafes, shops, art galleries, mushroom cones that dot the summit of Mount Victoria, all of which are colorfully painted and were previously used as vents for the pumping stations that lie underneath the surface of the mountain. Mount Victoria offers spectacular views of downtown Auckland and over the Hauraki Gulf. I do love the mushroom cones – they offer amazing picture moments. I would wake up in the morning and do a 6-mile run along the Cheltenham Beach with gorgeous sunrises, then hike up Mount Victoria – it is a short but very steep hike and the views are worth it. I would then relax with a warm cup of tea while enjoying my fabulous brunch at my hotel – Hotel Esplanade or some of the several restaurants in this little town. Where do I start? 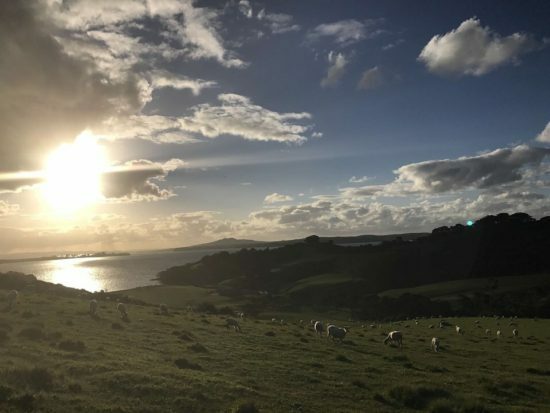 A 40-minute ferry ride from Devonport and 35-minute from downtown Auckland, Waiheke is my heaven for beautiful vineyards, beaches, landscape, and nature. The ferry ride costs about $36 for return (NZD) during the week. The last departures from the island are at 12.30AM M-Sa and 10.15PM Su. I was lucky that on the days I took the ferry, it was sunny and I enjoyed seeing some of beautiful suburbs and the Islands of Rangitoto and Motutapu, all thanks to the spring weather in November. I still had to wear a small jacket due to the sea breeze. When my friend decided to spend Christmas in Auckland, I told her to visit this island and she was not disappointed. Having enjoyed my ride, I arrived in the main village, Oneroa, and I took an hour to explore the art galleries, shops and passed by a few cafes and restaurants. 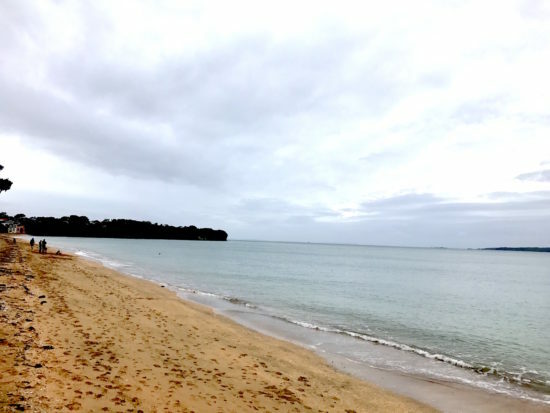 I even took 30 minutes to check out Oneroa Beach, which is less than 6 minutes walk from the village. But my favorite beach was Onetangi with its white sands, making it the perfect spot for swimming and surfing. I also loved that it had a few restaurants. One of the best ways to explore the island is by hiring a car. And it is easy and maybe the best choice. They have a rental company in the main building at Matiatia Wharf – Waiheke Rental Cars is one option to use and their standard vehicle rental is charged with a daily cost that ranges between $89-$100 (NDZ) plus insurance. Another option which I used was taxi. It costed me about $80 for the day using taxis. I remember paying $10 (NZD) from Matiatia to Cable Bay Winery. You can also take the bus that goes through the island and can drop you off close to some of the attraction sites, from which you can just walk. It is relatively cheaper option with the fares less than $5 (NZD) and you can get the timetable and all the stop locations at the tourist office at Matiatia Wharf. 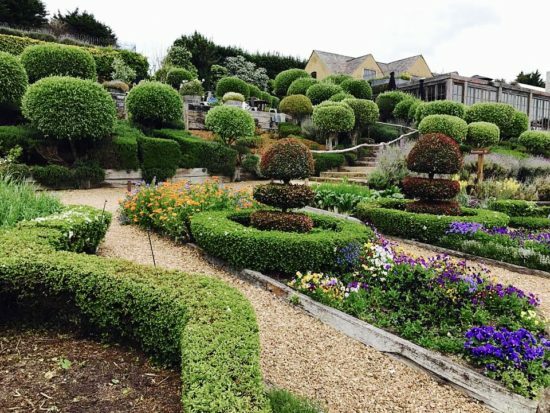 My biggest love in Waiheke were the wineries. So many to choose from and if you are pressed for time, you can take a wine tour of the island that includes 3-4 wineries. Tripadvisor has options on some of the wine tours on the island that you can take. I visited almost 10 of the 30+ wineries on the island. Most of them have beautiful scenery with views for days. Located on the beach are some award-winning restaurants. Some of the wineries I visited include Cable Bay, which gave me my perfect picture moment. Mudbrick offered breathtaking views and an excellent dinner. Casita Miro was a perfect stop for lunch and tapas with its Spanish inspired theme. 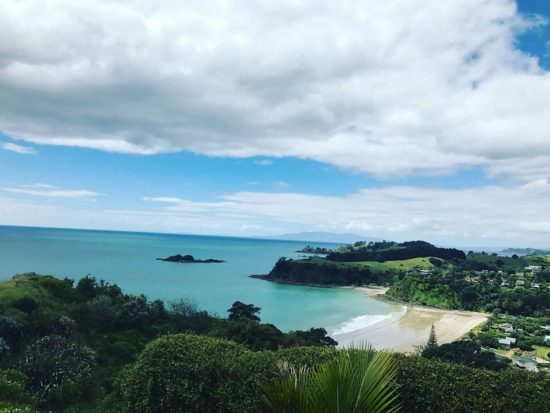 Obsidian had the best wines by far, while Stonyridge, The Motu, Te Whau, Wild on Waiheke and Tantalus Estate gave me an opportunity to enjoy my wine with views of the ocean to rival some of the best cities I have visited. What else could a girl ask for? Almost every winery on the island has a relaxed restaurant onsite if you wish to eat, so come prepared. A tasting of 3-5 wines at most of the wineries costs between $10-$25 (NZD). And if you are someone who loves hiking, you can hike the island from one winery to another. They have a network of walking trails connecting most of the wineries. Depending on your fitness level and time, you can explore more than 8 trails that the island offers. Check the local tourist website for Waiheke on some of the trails they have for more information. I hiked Obsidian to Casita Miro, then to Te Whau. You can also do zip lines and kayaking on the island that is offered by some wine tour companies, all of which you can easily find on Tripadvisor. A friend recommended I take a guided tour with Relaxing Journeys that you can book on their website: www.relaxingjourneys.com. It took us about 2 hours to explore and learn the history of the island. It is a good place to visit and learn more about the various New Zealand species. Just like Waiheke, I took the ferry from Devonport, which took about 1 hour and 15 minutes and costs $70 (NZD) return; but if you book with the tours, this costs is greatly reduced to about $83 (NZD) for the tour and ferry ride. I had an afternoon tea at Sky Tower, which is an observation and telecommunications tower in Auckland. If you have time, a nice dinner at one of the many restaurants offers excellent views of the city, especially at night. I would recommend you make a reservation. On a good day, you will see adrenaline junkies sky jumping or sky walking on the tower. I haven’t reached that point yet. For those who love to gamble, there is a casino downstairs to explore. One of the places I enjoyed around Auckland was the Viaduct Harbour with it vibrant night life, filled with many bars and restaurants. It also home to many big yachts that are docked on the harbour. At the end of harbour, there is also a Voyager Maritime Museum that you can check out. I also hopped in and out some of the beautiful shops along Queen Street and took time to walk to Cornwall Park. It has a beautiful landscape with trees that have very interesting shapes. And you know my visit would not be complete without stopping at Ponsonby, an inner city suburb (10 minutes taxi ride from Auckland city center), with numerous boutiques, cafes, bars and restaurants. After dinner with a few friends at The Breeze Inn, which has some of the best dumplings, it took us 25 minutes to walk back to the city center. My best memory of Auckland is Waiheke Island. Enjoying a delicious glass of red wine overlooking the ocean with breathtaking views, spending an afternoon at Onetangi beach, hiking from Obsidian winery to Te Whau with a stop at Casita Miro for endless tapas, and having one of the best dinners at Mudbrick Winery. For more information on how to take the ferry to some of the islands above, visit Fullers. 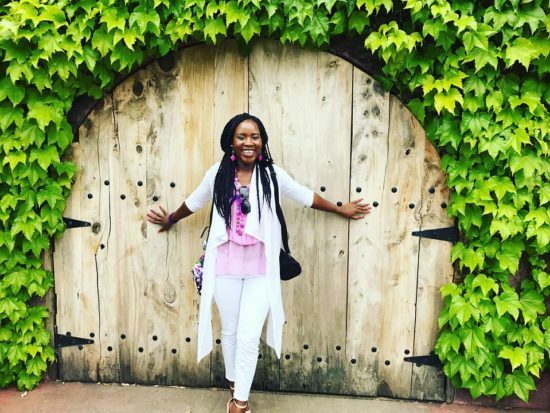 I am a Kenyan-American who is blessed, adventurous, foodie, wine lover, shoe addict, photographer, yogi and a runner. I enjoy traveling on a cheap budget by subscribing to the Flight Deal and other deal websites. I spend my days dreaming and planning my next trip when I am not working and when I travel, I enjoy traveling as a local. I love sharing stories of the places I visit and I do so through photography. I currently work in the Bay Area as a Marketing Professional for one of the technology company. My free time is spent catching up television, reading, running and yoga. You can follow me on Instagram and my blog Adventures of An African Dutchess. One Response to "Practical Travel Tips: Auckland, New Zealand." Cool tips to Auckland, wish we had something like this when we visited in December. We ended up staying away from the city cause everyone told us to ignore it there. Anyway, I’m working to write up my trip report of our time in New Zealand. It’s mostly focused on the south island, but we did spend some time around Taupo and Tongariro area, which I’m still working on.